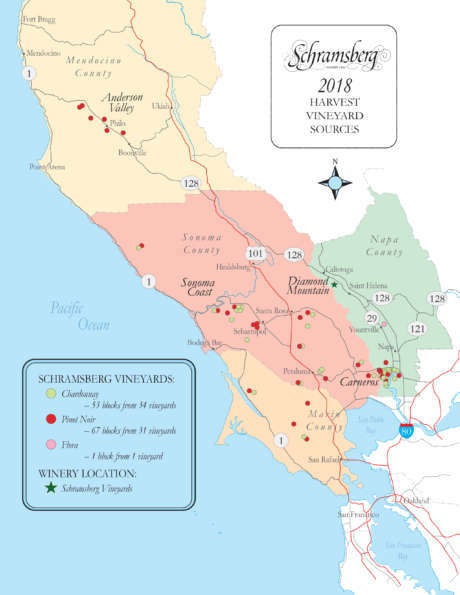 Schramsberg sparkling wines are produced from Pinot Noir and Chardonnay grapes grown in a broad array of cool-climate North Coast vineyards located in Napa, Mendocino, Sonoma and Marin counties. The winemakers draw from more than 66 specific vineyard sites, with 121 different blocks, to create over 250 base wines each year. 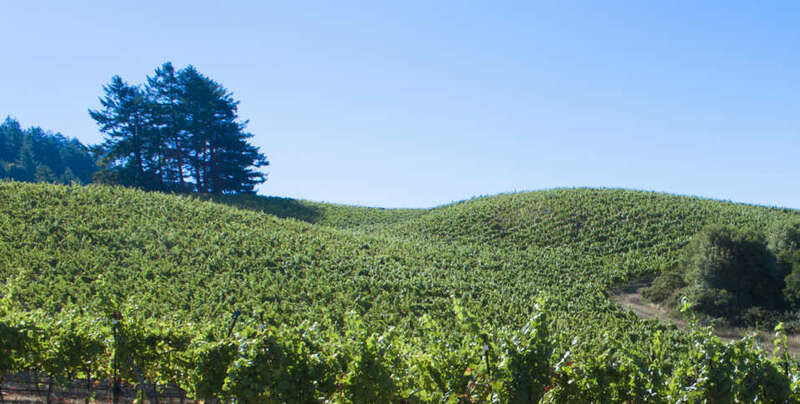 These wines are then artfully blended to create Schramsberg’s 12-14 distinctive sparkling wines each year. 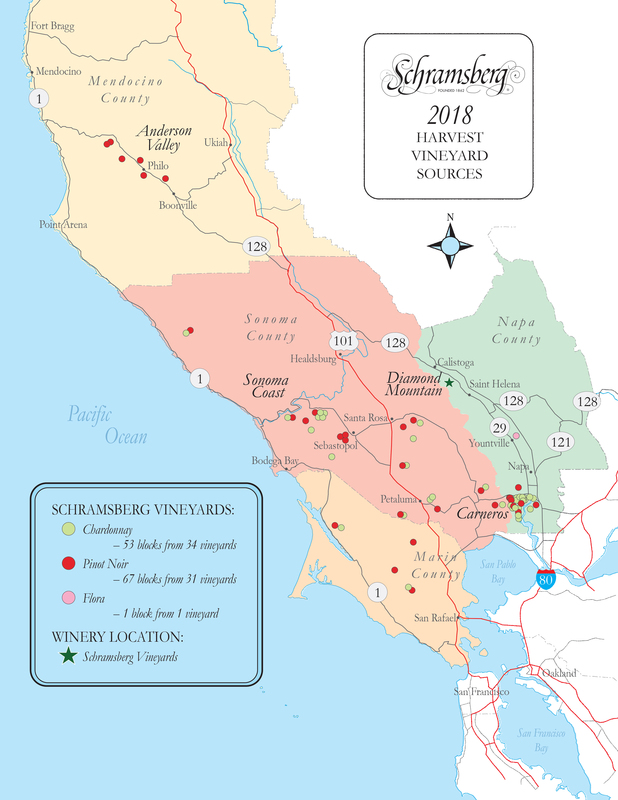 Over 66 specific vineyard sites, with 121 different blocks, were sourced from in the 2018 harvest. 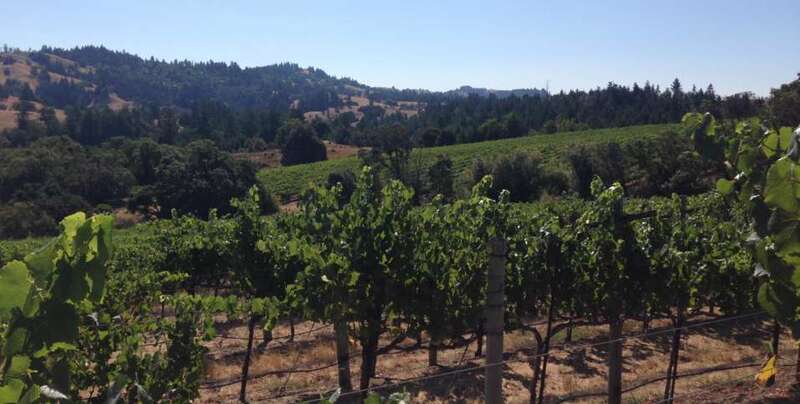 Four coastal counties: Napa, Sonoma, Marin and Mendocino. Chardonnay: Focus of J. Schram Rosé, J. Schram, Brut Napa Valley Carneros, Brut Sonoma County Green Valley, Querencia, Blanc de Blancs and component in all other blends. 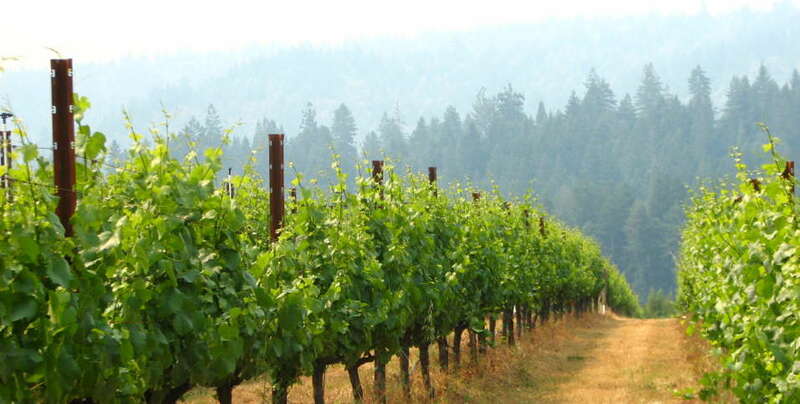 Pinot Noir: Focus of Reserve, Blanc de Noirs, Extra Brut, Brut Anderson Valley, Brut Sonoma Coast and Brut Rosé; component in several other blends. Flora: A cross between Gewürztraminer and Semillon. Focus of Crémant Demi-sec. Each block is planted according to the winemaking team’s needs, with the character of the ultimate wine in mind. 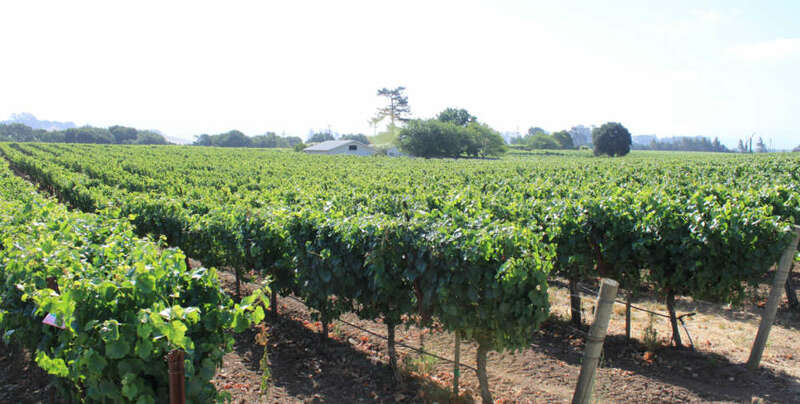 Site Selection: Cooler locations with proximity to the bay and ocean have yielded sparkling wine grapes of more intense fruit flavor and elevated acidity. Variable Clones: Specific selections of Chardonnay and Pinot Noir have been isolated for our specific needs. Diversity adds greatly to our overall blending schemes. Variable Rootstocks: Specific rootstock has been selected to meet varying soil condition and vigor potential.